Andrea Messenger holds a Graduate Diploma in Performance from the University of Tasmania and a Bachelor of Music from the University of Queensland. She studied with many teachers including Jan Sedivka, Tor Fromhyr, Elizabeth Morgan and Kerry Smith. Andrea has been the Director of the Western Suburbs String Orchestras since 1989. WSSO currently has four String Orchestras with 210 string players. Andrea has auditioned violins for the Queensland Youth orchestra for the past 30 years and has adjudicated many eisteddfods and music competitions throughout QLD. She has extensive experience teaching Violin and Viola from beginners to Tertiary level and she has taught in a number of private schools in Brisbane. Many of her students have played in the Qld Youth Orchestra, the Australian Youth Orchestra and professionally in the Qld Symphony and other Australian orchestras. Andrea has been the State president of the Australian String Association and she takes a keen interest in mentoring many young teachers at the start of their careers. She is passionate about music education. Robert Stewart is currently completing a Doctor of Musical Arts degree at the Queensland Conservatorium, Griffith University focussing on choral rehearsal processes. 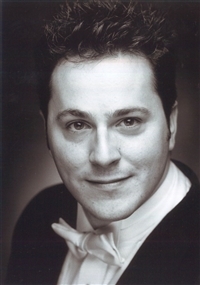 He received a Master of Music (Opera) from the Royal Scottish Academy of Music and Drama and is also a graduate of the University of Toronto (Bachelor of Music in Performance; Advanced Certificate in Performance) majoring in voice performance. As an undergraduate he also studied orchestral conducting with Dwight Bennett and served as section leader and assistant to Dr. Doreen Rao. Robert was co-founder and conductor of the award winning Exaudi Youth Choir- under his baton Exaudi was quickly recognised as one of the foremost collegiate-level ensembles in Australia. They have recorded two CDs, toured nationally and frequently commissioned new works. In 2009 the choir made a “clean sweep” at the Australian National Eisteddfod winning the Open Choral Championships as well as the Open Sacred, Open Contemporary and Australian-British sections. Through their many concerts and workshops, they championed choral singing and the music of Australian composers. Robert is frequently engaged as a guest conductor and clinician working with groups like the ACCET Choral Conductor School, the Festival of Voices, the Pemulwuy National Male Voice Festival, and the Queensland Conservatorium’s State Honours Ensemble Program. Robert currently lectures in French Lyric Diction and tutors in the conducting program at the Queensland Conservatorium, Griffith University. He is also the conductor of the Conservatorium Singers and the Young Conservatorium Concert Choir. Robert has also been choral conductor, voice teacher and French diction tutor at Monash University, the Melba Conservatorium and the Victorian College of the Arts. A passionate advocate and researcher in boys’ music education, Robert was Director of Music at Melbourne High School, Victoria’s largest State School music programme, and under his baton, the orchestra twice won the Royal South Street Eisteddfod. Educator, accompanist, conductor and co-founder of the award winning Exaudi Youth Choir, Claire was Head of Choral Studies at the Victorian College of the Arts Secondary School: a specialist program for the training of young musicians where she passionately commissioned and recorded Australian music and hosted community outreach. Specialising in developing young singers, she has worked extensively in Australia and North America. Claire has been Assistant Conductor with the internationally renowned Toronto Children’s Chorus and Assistant Conductor/Chief Accompanist for the Canadian Children’s Opera Chorus. She also served as accompanist for the Elmer Iseler Singers, Canada’s foremost professional choir. 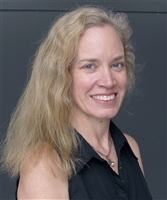 While accompanist at the University of Toronto, she worked with Dr. Doreen Rao, Sir David Wilcocks and Helmuth Rilling. Performance highlights include appearances at the World Symposium on Choral Music in Minneapolis, Joy of Singing International Choral Festival, and recording the world premiere of Harry Somers’ children’s opera A Mid-Winter Night’s Dream for CBC Records (recently nominated for a Juno Award). Claire has been a finalist at the Mietta Song Recital Award and broadcast on ABC’s “Rising Stars” and Artistic Advisor/Conductor and Accompanist with Festival of Voices since 2008. Claire has been a regular guest conductor at Gondwana National Choral School and various festivals, conferences and music competitions throughout Australia and The Big Sing in New Zealand. One of Australia’s most experienced and inspirational choral directors, Emily Cox is Music Director of two of Brisbane’s acclaimed choirs, the Brisbane Chorale and Canticum Chamber Choir. She is also a Lecturer at the Queensland Conservatorium Griffith University, and Choir Director at St Mary’s Anglican Church, Kangaroo Point. Her expertise and versatility have made her Chorus Master of choice for major arts companies and has resulted in numerous collaborations between her ensembles and organisations such as the Queensland Symphony Orchestra, the QLD Performing Arts Centre, Brisbane Festival, Queensland Ballet, and the like. American born and educated, Emily has made Australia her home for many years. Kate Albury has completed a Bachelor of Arts Music and a Bachelor of Music Education at the Qld Conservatorium of Music, Griffith University, as well as a Masters Degree in Choral Conducting at the University of Queensland. 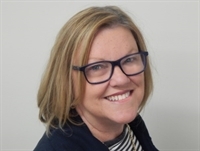 From 2003 to 2016 Kate held the positions of Choral Director and Middle School Event Co-ordinator and at Brisbane Grammar School. In 2010 she toured Europe with the Grammarphones, the School’s Premier Choir, achieving first place in an International Youth Music Festival in Vienna. 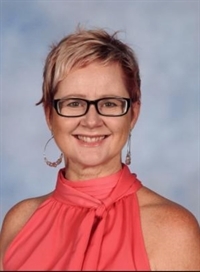 From July 2016, she has been Head of Curriculum for the Creative and Performing Arts Department at St Patrick’s College, Shorncliffe. As Kate’s reputation as a dynamic and gifted choral conductor has grown, she has been invited to conduct at many festivals and workshops. She has conducted choirs for the renowned Birralee Choirs, the Celtic Connection Chorus and Choral Connection. She has conducted the ‘Con Chorus’ at the Queensland Conservatorium of Music. Most significantly, she was invited to join the elite conductors from around Australia to be part of the Artistic Team of the National Gondwana Choral School in Sydney, conducting both the Juniors and Singers. In 2019 she will return to conduct the Gondwana Novus Choir. Kate is in demand as an adjudicator and conductor. Her greatest passion is to encourage young people to be involved in Choral Music. Julie is well known for her compelling work with young voices throughout Australia. In 2006 she was awarded the Medal of the Order of Australia in the Queen’s honours list for her service to the Australian community through music, particularly in the development of children’s and youth choirs at state and national levels. Following studies in choral conducting at Queensland Conservatorium Julie continues to work with young people at all levels of experience in school and community ensembles. She is a popular guest clinician regarding vocal /choral techniques and literature for children’s choirs and is regularly invited to conduct and present at choral festivals and educational workshops throughout Australia, including with Gondwana Choirs National Choral School. Julie has toured extensively nationally and internationally with Birralee Voices, with recent tours representing Australia in Korea, England, Canada, New Zealand, Germany, Austria and the Czech Republic, as well as tours to Tasmania, Canberra, North Queensland and Adelaide.The appointment of Voices of Birralee to provide choral services at commemorations during the five year World War 1 Centenary period in France and Belgium, is the pinnacle of her 23-year music career.